Yarndale was awesome!! Honestly, I can't believe the enthusiasm and support for The Crochet Project. Thank you to everyone who came to say hello! Blackberry Crumble is now available for download here. I love this jumper - super flattering and a pretty easy make. There are just 5 days left to purchase Blogtacular early bird tickets. Snap them up now, its going to be another stellar year!! Stirling is hosting its own Made You Look screening, this Friday the 2nd of October at the Old Town Jail. Tickets are free, so snap them up! in just over a month, the Edinburgh Yarn Fest will open its doors to a weekend filled with yarn, knitting and of course, crochet! Joanne and I with our Crochet Project hats on will be teaching courses on Crochet for Knitters and Making Crochet Wearable. We will also have a stand where we will be selling patterns, crochet hooks, buttons and talking all about how awesome crochet is. Plus we will be launching a new collection which we are busy putting the final touches on as I type (quite literally - the last piece to be made is sitting in my lap!). Jo and Mica have planned a really stellar weekend of fun and I can't wait to be part of it! There are still a handful of tickets for the classes available, so do book now to avoid disappointment! Last week, I had the unenviable task of adding the errata for Hook, Stitch & Give to the book page. I tell you what, there is nothing I hate more in my job than finding errors in my patterns. I have been known to shed many a tear about the subject and I know that many of you share my frustrations. One of the questions I get asked a lot is that surely, if the pattern is written, tech edited and tested, why are there still errors found at print (for more information about what a tech editor does, check out Joanne's post on "What is a Tech Editor?")? I will outline some of the reasons, in my experience, mistakes still creep in, but ultimately it comes down to the fact we are just humans. No matter how many times a pattern is edited, mistakes can sneak through. Errors sneak into spreadsheets that may make logical sense, but still not be right. Most designers will be working from a spreadsheet to write their pattern. This helps tremendously with getting sums correct, making sure your stitch counts add up and helping to grade across sizes. It is a lot of math and spreadsheets can often be very long and complicated with equations building on one another. It is an easy thing to make a small mistake in one cell and have it carried forward in your sums. I can't tell you the number of times I have picked up a wrong cell, only to discover it at the end of writing a pattern. Sometimes, if you don't know where the mistake has been made, it can be impossible to find because it will look right (maybe be consistent with the same multiple of a number as the other sizes, or be the right step up or down in comparison to previous steps). The skill of a designer. Designing is taking an idea, turning into a physical act of making, translating it into words in crochet code, then making sure all of the numbers across multiple sizes are right. Designers will have different strengths across those skills- I am an ideas person good at taking a nebulous idea and turning into a physical object. However, my grading and mathematical skills are definitely the area where I have to be extra careful. I am good, but not perfect and I work closely with my super amazing editors to make sure everything works. Not working to the stylesheet. one key element in making sure patterns work is ensuring they are submitted in house style - if a Tech Editor has to spend a lot of time converting the pattern to the style of the magazine or book, then mistakes can be missed in the process. Why can't every design be tested? 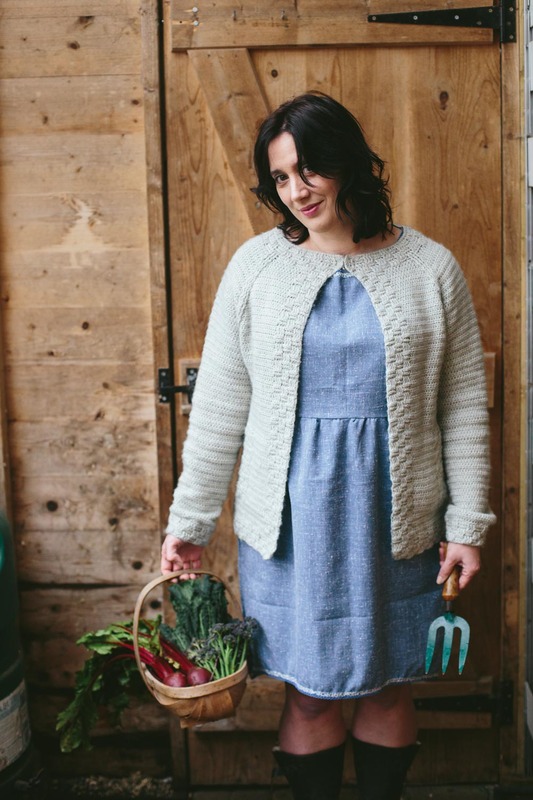 In a book of 30 patterns across an average of 6 sizes per pattern- it's logistically impossible to test every size. Some designers do get every size tested, but they tend to be designers who release 1 design at a time. In HSG, each pattern has been made by either a sample maker or a tester, bar 2, which felt like a decent balance between getting things right and balancing the logistics. Magazine designs will often have similar time constraints and really rely heavily on the designer and tech editor getting everything right, as there often isn't time for testing. Most designers offer pattern support. Please know that no one finds errata more frustrating than the designer, but its always better to let them know (nicely) that something doesn't look right. I try to get back to people within a day or two, but it can sometimes be longer. I hope that understanding some of the reasons why they happen helps people feel less murderous when it comes to spotting errata in patterns. Things just got meta. 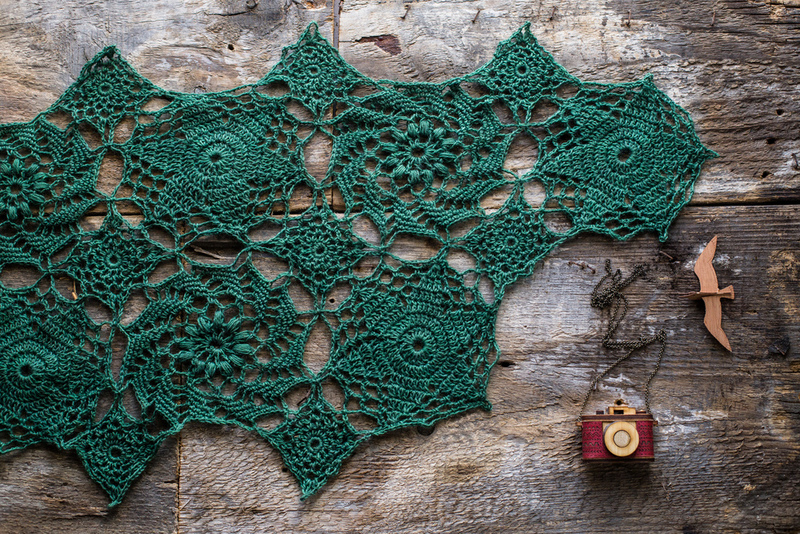 Every time I write a crochet or yarn tutorial (and lets face it, I have written a fair few), it occurs to me how much work it takes to write, photograph and publish a craft tutorial. Of course, its never the writing that is the hard part, but the photographing, the editing and the promoting that take up a lot of time. You will have a unique take on what you are doing and may help someone who has never "cracked" that stitch or technique before. Tutorials you write relate specifically to your work, especially if you are in the business of writing patterns (for free or paid), selling kits or writing for magazines. You can tailor them so they use your stylesheet, your voice and act as a set up for whatever larger pattern you may be linking to them. Tutorials create traffic for your site. Not only are How Tos great traffic drivers in and of themselves, but if you are going to link to a tutorial in a pattern, it may as well be your own. Don't give your traffic away! They show you know what you are doing! With so many voices in the craft world, showing folks you know your stuff is an important element of standing out! The sky is the limit. Any tip, technique or stitch can be used for content. 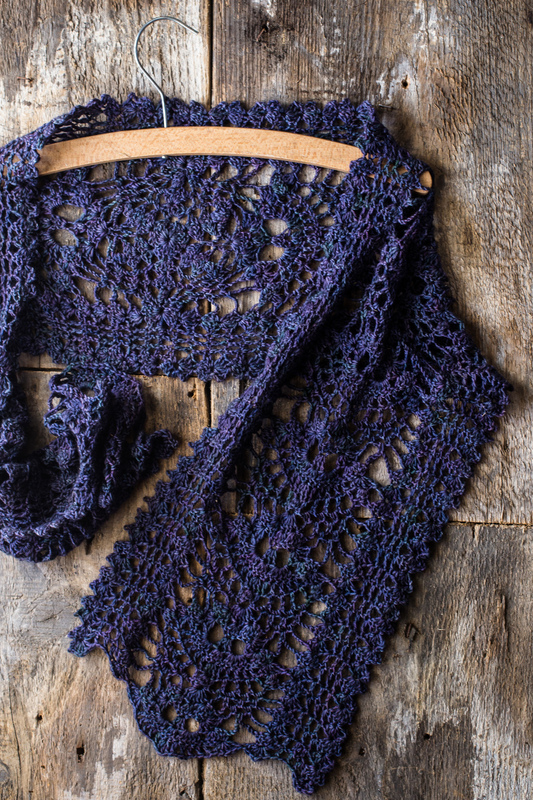 I always try to link mine to upcoming or newly released patterns as a way of promoting both the pattern (or book) and helping those who are likely to be starting the pattern at the same time. break your tutorial into steps, but not too many. Use your judgement, but in my experience, people don't like to scroll for days down a post. Think about your audience - do they know the basic abbreviations? Do they know the basic stitches? In very beginner patterns, everything will be spelled out to the letter. In more advanced tutorials, I will assume people know how to: chain, double and treble crochet and know the basic abbreviations. It can be easy to get lost in the minutiae, but its usually better to link to a different tutorial than go into every single technique used in project. Think through the whole of the tutorial before you start. There is nothing worse than getting half way through and realising you started something wrong or don't have enough materials and have to start at the beginning. Basic photography rules apply here and getting to grips with your camera will help your make tutorials that shine. Make sure you are photographing in natural light. 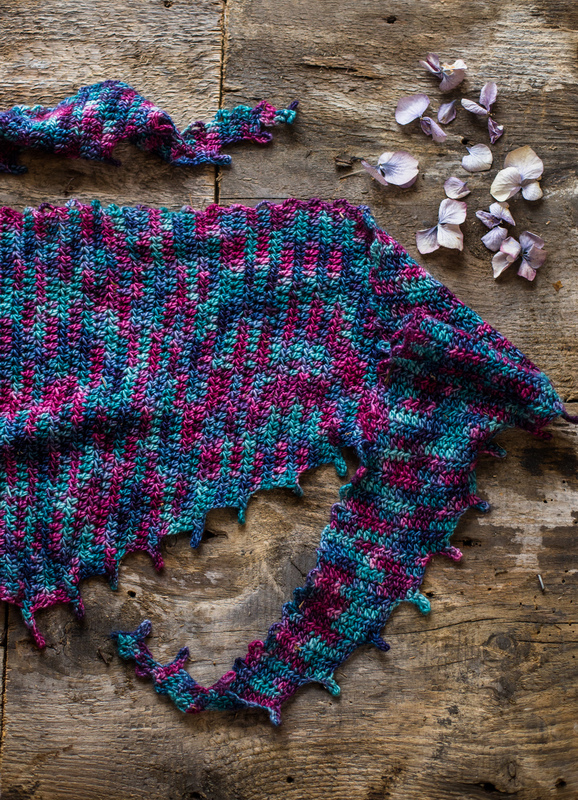 Use a background that will contrast sufficiently with the yarn. I like texture, so rarely use flat painted backgrounds, but that is a personal preference and certainly against the trend of flat white or solid colour backgrounds. Coloured paper, painted wood, fabric and tea trays are all good backgrounds for tutorials. If you have control over your settings, shooting at an aperture of between 5.6-4 tends to be the sweet spot when using a 50mm lens to photograph your crafts. This means that there is sufficient focus on what you are doing, but you don't have to hike up your ISO to crazy levels. The size of what you are photographing and your lens will play a roll here, but try to make sure the whole of what you are showing is in focus. Speaking of ISO, if you are using the photos only for your blog, you will probably be ok using up to 1000 - 1600 at a push - beyond that grain will likely be visible. If you have one, use a tripod and a timer/remote so that you don't have to be up and down taking the photos. I use my Canon 6d connected to my iPad - a set up I cant recommend highly enough. Working in this way also means I can edit them in bulk via Lightroom. I simply sit next to what I am photographing with my ipad next to me and work from there. If you don't have that, a remote will mean you don't have to get up and down to press the shutter. A tripod and remote also is helpful if you are shooting in low light - it means you can slow down the shutter so that you get as much light as possible without camera shake from touching the camera. Thumbtacks, masking tape and blue tac are your friends to keep your bits in place when working on tutorials. Experiment with the materials you are using, the backgrounds and the tools. Certain colours (hot pink and red for example) are hard to capture and high contrast items can be hard to expose correctly. Almost all of my tutorials have been tech edited in some form by Joanne - usually they are modified from technique sections of my patterns, so I have the benefit of always having 2 eyes on what is going live. However, if you don't have that, ask a friend or someone who knows something about what you are doing to have a quick read through before it goes up on your blog. Make a header image. This should be portrait orientation and with a "call to action" ie, tell people what they are getting when they start reading the post or click through from Pinterest. If you don't have photoshop, why not try PicMonkey or Canva to create your header images. Make a landscape image with similar characteristics for sharing on Facebook. Make sure your images have titles that relate to the content - this means that when they are pinned, the subject comes through in the pin description. If you use Squarespace, make sure you add a thumbnail image to the post under "options" so that its pinnable on mobile. There is no question that writing tutorials can be a ton of work, but totally worth it! If I had to pick a "Most Useful" technique from my bag of crochet tricks, I would say that learning how to do foundation (aka "chainless") crochet stitches is it. They are just so useful in so many ways - anywhere you need a stretchy beginning edge to what you are working on, I would always use foundation crochet. Realistically, you can make any of the basic stitches a foundation stitch, but in reality I tend to use Foundation UK Treble/ US Double the most frequently. Its a great start to ribbing on hats and mittens worked from the bottom up or any garment that uses alternating front and back raised/post stitches. 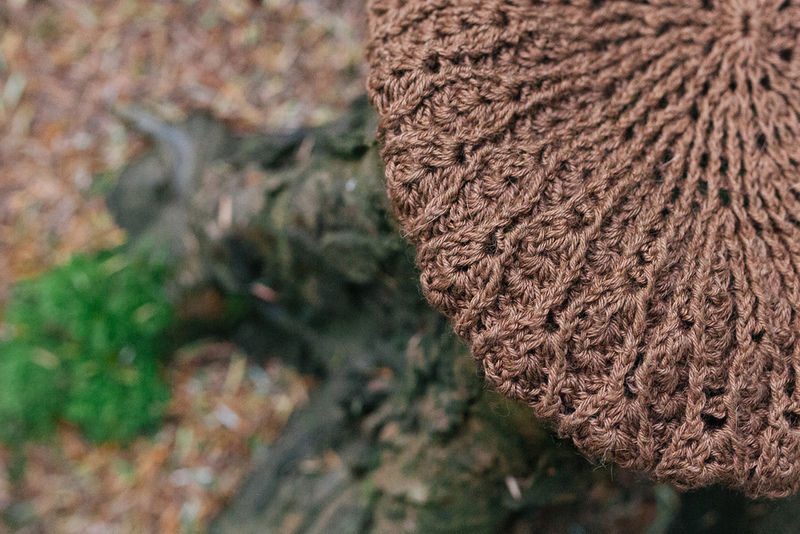 It forms the start of the very popular Slouch and Bobble Hat featured recently in Mollie Makes, Prima Magazine and Irish Country Living from Hook, Stitch & Give. For those of you not familiar with the stitch, I have a wee tutorial below. I am experimenting with the way I format tutorials here, to see if this is a bit more user friendly (feedback welcome). You can click through via the tutorial image to get to the PDF version. One of my favourite stitches, this is my must-have wrong side row of any ripple stitch I use in my designs. 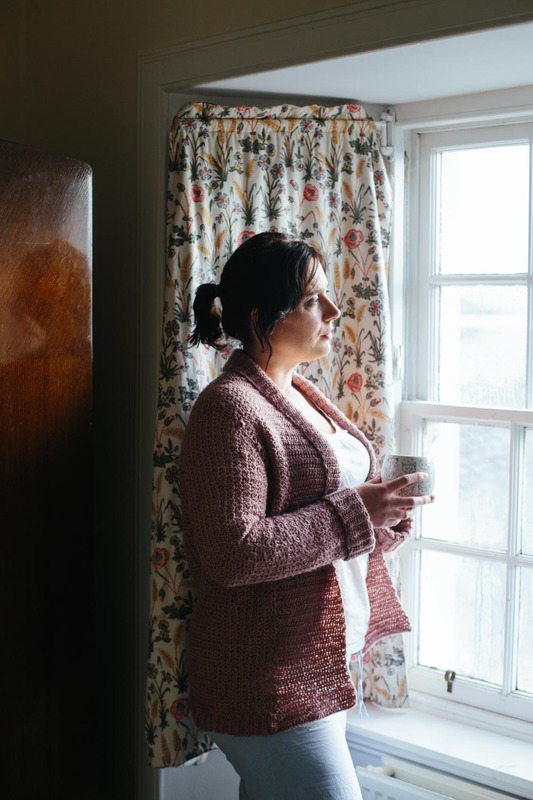 Taking up hardly any space, the UK Raised Double Crochet Front (US Front Post Single Crochet) creates a ridge along the top of the ripple, adding definition, depth and stability to the fabric when worked on the wrong side. 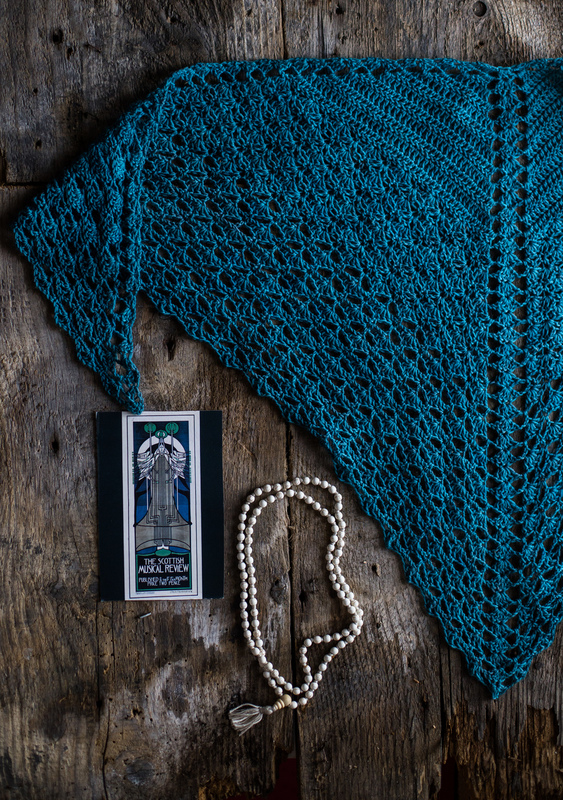 I have used it in Achemilla Shawl, Iced Gem and at least one pattern in Hook, Stitch & Give. It can be used on any wrong side of a ripple to create a similar effect. Knowing that people find post stitches tricky, here is my quick guide to this awesome stitch. 1. Insert your hook around the post of the next stitch, working from the front, around the back then out the front of the fabric. 3. Pull through (2 loops on hook). 4. Yarn over hook and pull through both loops on the hook. You will work the next row of stitches in the top of the post stitches you just made. When worked on the wrong side of the fabric, it turns the top of the stitches out, creating the signature rib of stitches on the front.